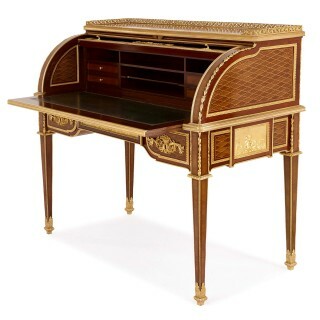 This spectacular roll top desk is a truly special piece of craftsmanship, completed by perhaps the most esteemed cabinet-maker of his day, Francois Linke (1855-1946). 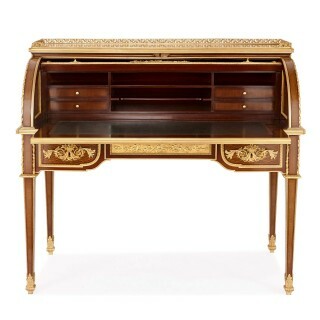 The original model for this desk was made by famed 18th Century ebeniste Jean-Henri Riesener (1734-1806), who built the desk as a commission for the Queen of France, Marie Antoinette. It was delivered to Marie Antoinette’s boudoir in the Palace des Tuileries in 1784, and is now housed in the Louvre, Paris. 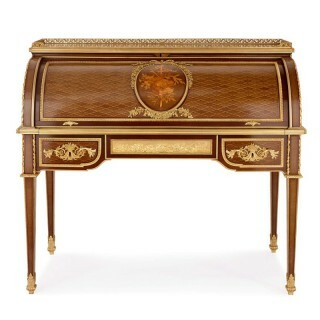 Like the original, this desk features a diamond parquetry design around its exterior in a range of differently-coloured woods, including tulipwood, amaranth, sycamore and fruitwood. 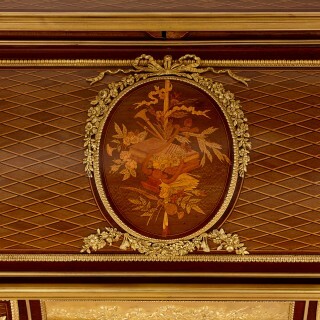 At the centre of the curved, rolling top there is an oval-shaped marquetry medallion panel, showing musical instruments and flowers. 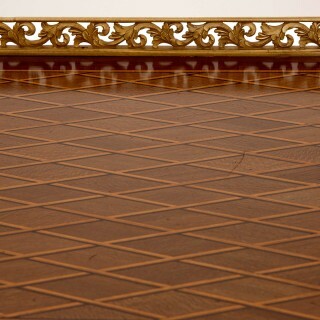 The panel is framed by expertly-cast gilt bronze mounts showing ribbons and laurel garlands. 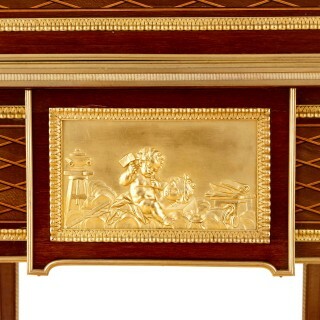 Below the top there are two drawers with scrolling floral gilt bronze handles and escutcheons, in between which there is a gilt bronze relief panel showing putti in scenes of revelry. There are further gilt bronze relief panels at each side of the desk. 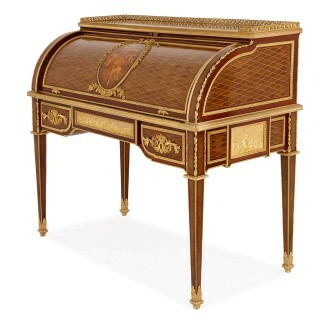 The rolling top opens to reveal a mahogany interior, with a gilt-tooled leather writing surface. There are a number of table cabinet drawers and shelves at the back of the desk. 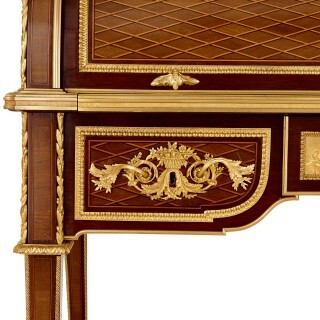 The top of the desk is rectangular in shape and surmounted by a pierced gilt bronze gallery, and the entire table is supported by four straight, tapering legs on ormolu feet. 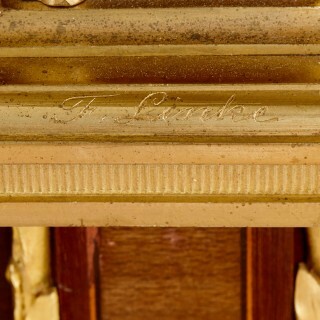 One of the gilt bronze mounts is signed ‘F. 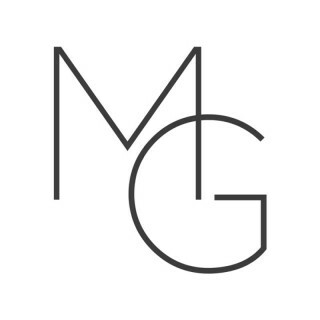 Linke’.